Here we are again fellow snow lovers; the waiting game is fully underway. Of course having chosen to live in a part of the country renowned more for summer and sunshine than serious snowfall it should come as no surprise that we may be basting a turkey before making any sweeping turns down the mountain. It’s a fifty-fifty proposition at best that I will ski before Thanksgiving but that doesn’t assuage my gambler’s certainty that even odds are actually in my favor. But as impatient as we may be let’s keep in mind that we are not in the midst of a ghastly midseason melt down; there is a big difference between anticipation and desperation and it’s all looking forward for now. We may not know our start dates but we know it could come at any time, so now is the time to Boy Scout up and get all your geese in a row ready for instant take off to the mountains. Before we go into details, I am making some assumptions; first that you got your season pass already if you needed one and that you got new skis already even if you didn’t need them but absolutely had to have them. In previous posts I have tried to be helpful on those topics but there is more to cover with the growing urgency of the upcoming season. This is primary, you can be out of shape, over the hill, generally unprepared and you can still manage to make it down the mountain but it cannot be accomplished using the sandy flip-flops left under the backseat after your last beach foray. For better or worse ours is a hardware intensive sport so check the essentials. 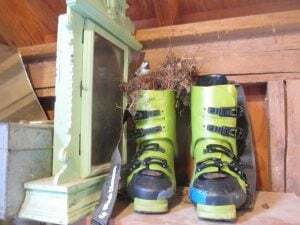 If you, as I, have not yet mounted actual bindings onto your new skis, immediately might be the right time to do that, and not the night before your first day out. 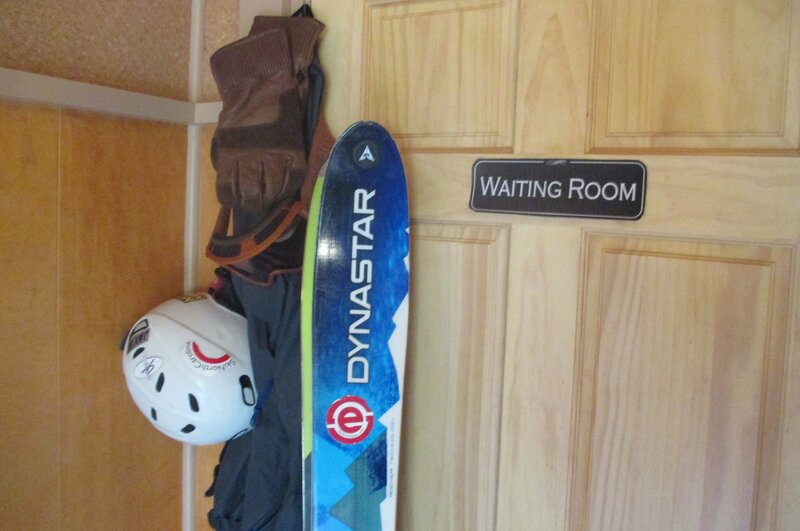 If you have an old pair of skis and the bindings haven’t released in two years there might be a reason for that, consider having your release values checked rather than leaving your knees to do the test. Put on your boots and take them for a short hike around the yard, remember that spot on the ball of your ankle that was screaming at the end of every day? There’s still time for a good boot fitter to fix that; or if these are your cherished old leather Henke Pro Triple Lace boots you might consider upgrading to modern materials. And by all means if you stored your boots upright in a shed go check them for birds’ nests (yes this has happened to me). You can look at the forecast and decide if there is still time for fledgling flight or if an eviction is required. Finally you might take a peek at your bases, just how deep was the damage from the sharp rock you took a hard left on at the end of last season? If the steel edge is not actually detached a light tuning will probably do. Also unless you had custom fog colored p-tex, if trying to read the base logo is like staring through a milky froth, you should find time for that wax job. A quick word on rentals, if you don’t have your own equipment and plan to rent consider season rentals; for roughly $150 (less for kids) you can have your own package all season. You don’t have to deal with the hassle of going through the rental gauntlet before and after every outing and you can usually change sizes or performance level throughout the season, might get a free mid-season wax and tune as well. Check with your local shop. What if a freak blizzard drops a foot of snow tonight? It could happen. Will you be ready or will you be scrambling around in the wee hours of the morning and still arrive with only one glove and the cracked pair of goggles? Not if you’re clever you won’t. Now is the time to dig into the various bins and boxes to take stock of the basics like outerwear, underwear and lucky Bota Bags. A thorough inventory is especially important if you have children as they have an uncanny way of growing each year, and may still be trying to forgive you for forgetting their favorite beanie last March. The goal, which may also be considered a challenge, is to have all the essentials ready and to be able to fit them into a day pack. Today is the time to shake out the old cliff bar crumbs, orange peels and crushed empties and to check the batteries in your avalanche beacon. Tonight, you can throw your ski or board and boots into the back of your car, sleep in your long johns (which you had time to wash), and use the pack as a pillow, then fall asleep with visions of powder to be slain. Yes it may be time for that reality check as well. I wouldn’t worry too much about stepping onto a scale at this point; first because it’s too damn late for that and also because I have seen plenty of ripping skiers who were carrying significant girth, although I try to stay out of their path just in case. So that’s not too much of a problem unless you will be doing some uphill as well as down; which is a rude awakening each year. The first time I skin up through trees in West Virginia, usually at Whitegrass between Timberline and Canaan Valley Resort, I will again be amazed that ascending 600 vertical feet in forty-five minutes has nearly killed me, then I will look down at my superlight touring bindings and realize I can’t see them unless I lean precariously forward. While it may be too late for dieting to any real effect it is not too late to work on core and leg strength. So do something, now and every day; take the dog for a long, brisk walk and not just to the neighbor’s yard; climb a hill, repeatedly; chase the birds around your shed (just making sure you are paying attention) but get sore and out of breath now, to be ready for the mountain when it opens. A tougher challenge for me has been dealing with altitude and lung conditioning. The reality of being a southeastern skier whisked up a high-speed lift and deposited at 12,800 feet has lately made itself known to my head, heart and lungs. I must not be alone as “Oxygen Lounges” proliferate in trendy mountain towns and base lodge shops sell pocket sized “Oxygen in a Can.” I do have some strategies for dealing with this problem, I am developing a routine in which I hold my breath top to bottom on repeated elevator rides; the efficacy is still uncertain though and security takes a dim view perhaps because I am in full gear like the Gaper Spirit Animal. Fortunately altitude sickness is not much of a threat for us locally. At Snowshoe you start already at the top and descend to the lift base, so you actually have a net oxygen increase, as long as you stay there. Best of all Beech Mountain is crowned with the highest ski bar in the Eastern United States aptly named the “5,506”. This is an outstanding place to acclimate and recover if not from altitude sickness then certainly from sore legs. You can use the coaster or napkin to make notes on how to improve your exercise program when you get back home. 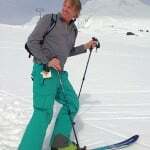 I love day trips and they account for a lot of my skiing each year but if you want to go further afield or stay for awhile, you should start your planning now. Buy plane tickets. I will drive 10 hours for 8 hours of skiing if there’s snow in the trees, but unless I relocate, air travel is a reality if I leave the region. Here is the most important planning tip: watch out for early season airfare sales. Select some dates and book them early and know beyond a shadow of a doubt that a week before departure there will be a last minute deal for a third less than you paid. Consider alternatives. Hopefully the last two seasons were unfortunate anomalies, hoping is free, but if you are planning your week long family ski extravaganza be prepared for the possibility of low to no snow for part of it. You can’t be assured of coverage but you can plan around that by considering nearby options now and choosing a destination accordingly. Even when slope counts dwindle, tubing runs can stay open and there are some amazing ones, here’s a good link. There is always hot tub and pool culture, Snowshoe and Massanutten excel. And of course there is still the great outdoors. The silver lining of mountains without much snow is that they are more accessible by foot; so research some trails and other challenges. Look into hiking and climbing options, maybe Grandfather Mountain, Seneca Rocks or Blackwater Falls; ski areas are always in proximity to amazing terrain. Just like walking on a beach in autumn, the mountains are unique in their winter guise, with or without snow. And to be safe, buy some board games now and start setting aside your poker stake. Start bugging your friends and family. For all your buddies who used to ski or who have families who want to learn, now is the time to start working on them. Sneak into their studies and replace their screen saver with a slideshow of snow choked glades and wide open groomers, put trail maps in their cookbooks, ask their kids innocently if they think Mommy and Daddy should take them inner tubing in the snow where they can go really, really fast; whatever is necessary but get them to finally commit and rent a huge cabin now. And finally placation. If you live in a non-skiing household start being nice, I’m sure you are always nice but perhaps be even nicer, make time for your loved ones passion for bird watching or chimney pot collecting. 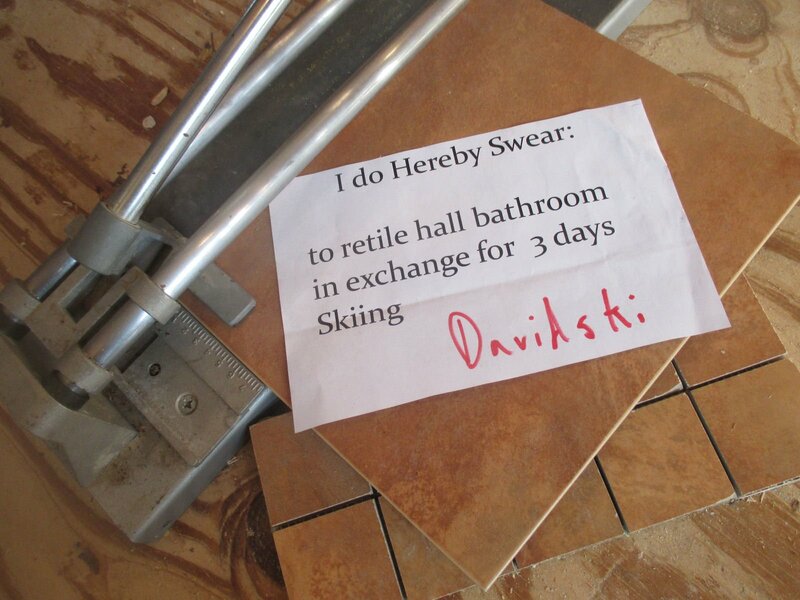 You can also go big and book a beach side cabana for next summer or if you convince them to go with you this winter take seriously the other mountain options; at any rate if you hope to ski more than 10 days it may take more than some handwritten vouchers for free back rubs. You may also have to lay the ground work for missing significant days of work. At least prepare your boss or coworkers for the upcoming eccentricities in your schedule and work some weekends now. If nothing else, consider a serious illness, plan ahead and practice a nasty rasping cough. Learn how to swoon convincingly. Also, did you know a serious outbreak of Roving Scurvy is likely this winter; there is no vaccination, the only treatment is 2-3 weeks of complete isolation. Interestingly one side effect is a lingering facial discoloration which leaves the area around the eyes abnormally pale in a raccoon like pattern; this is thought to be a form of jaundice. Sadly, Roving Scurvy can frequently recur for months after its initial outbreak. Editor’s Note: per suggestion #4 from Dave, check out this video posted yesterday by Snowshoe! Hey Winter, are we there yet?